We're excited to announce that Tableau Public 9.0, the latest version of our free software that lets you quickly and easily create richly interactive data stories for the web, is now available for both Mac and Windows! 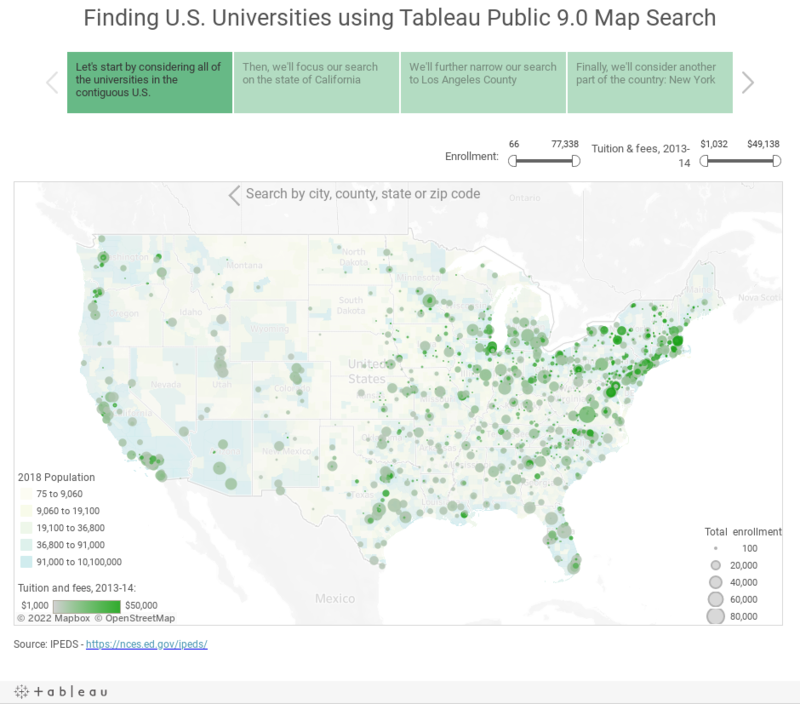 Tableau Public 9.0 is Here! Please note that if you're currently using Tableau 8.2.3 or lower, you'll need to update to version 9.0 in order to save your visualization to the Tableau Public servers. You'll still be able to create visualizations using these older versions, but you won't be able to save them to the web unless you update to the latest version. The good news is you can do that for free. Looking for Tableau Desktop 9.0 for your proprietary data? Download the free 14 day trial. With the ninth major release of our revolutionary software, we've made it even easier for you to quickly find powerful insights in your data, and we've given you even more ability to customize the look and feel of the data stories you publish for your readers. Tableau Public vizzes have been benefiting from smooth tooltips and smart maps in the browser for a few months already, and now these features are also available while you create your workbook in the application itself. What Else is New in 9.0? Additionally, we've made a number of changes "under the hood" to improve the overall speed and performance of your vizzes, such as consolidated and parallel queries that will make your dashboards load faster for your readers. We know how much that matters. For more information about the new features packed into our latest version, check out the Tableau 9.0 New Features site. We'd like to whet your appetite for all the great new features by showing some examples of the new version in action. 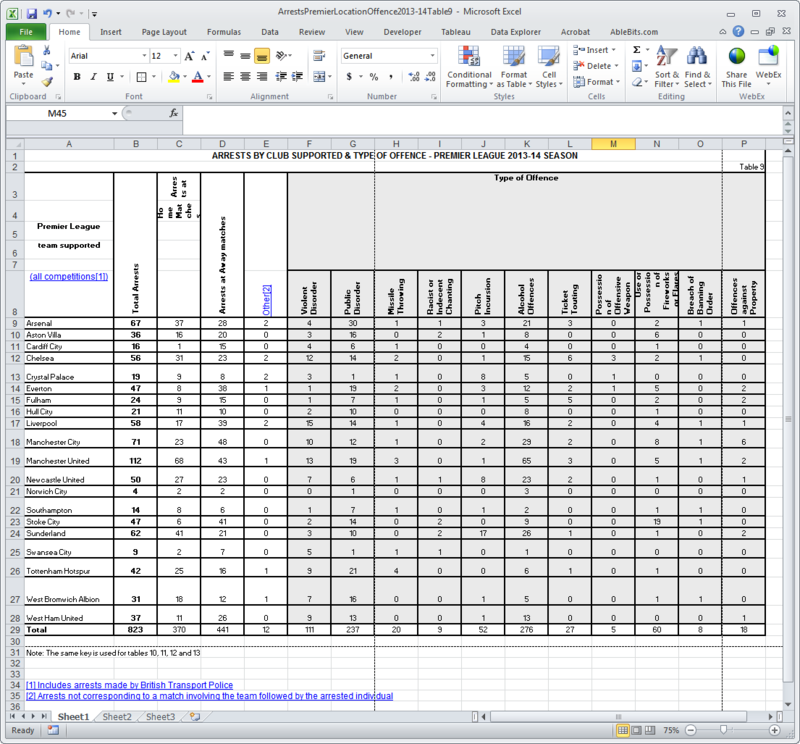 An example of a cross-tab style spreadsheet with headers and footers. The Tableau Data Interpreter in action! We hope you're as excited as we are about these new features. Be on the lookout for blog posts from Team Public in the coming weeks that go into even greater depth on each of them. Happy vizzing in Tableau Public 9.0! We're looking forward to seeing what you create. You completed some good points there. I did a search on the topic and found the majority of folks will have the same opinion with your blog.